With one of the best resale values on the market, it seems impossible that you could find a used Jeep under $30,000. 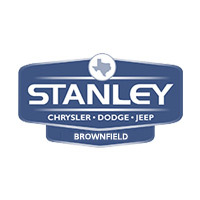 But at Stanley CJDR, we’re here to make your dream adventures come true! Jeeps are known to have one of the lowest depreciation values from automakers around the world, making it a smart investment! Buying a used Jeep means enjoying lower insurance rates! When you buy a used Jeep for under $30,000, your registration fees and taxes are much lower than buying new! The expertise of a knowledgeable sales associate who will work with you to find your trailblazer on a budget! A friendly finance team who will work with you to find the lowest rate available for a used car loan! An experienced service team who can make sure your 4×4 Jeep can handle rough terrain and handle well for years to come!